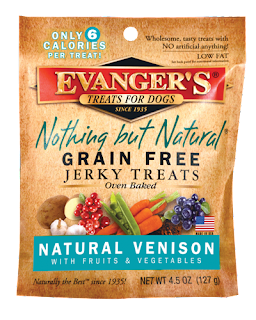 My pups got a special treat this weekend when our samples of Evangers Dog Food arrived! 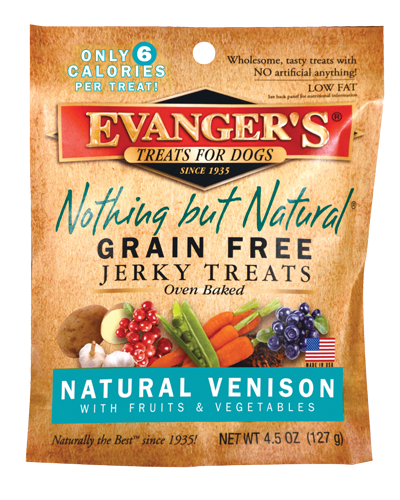 They have eaten Evanger's Pet food before, so I knew even before I gave it to them that it was going to be a hit. Just like every time I buy them Evanger's they cleaned the bowl before I was even done putting the can into our recycling bin! 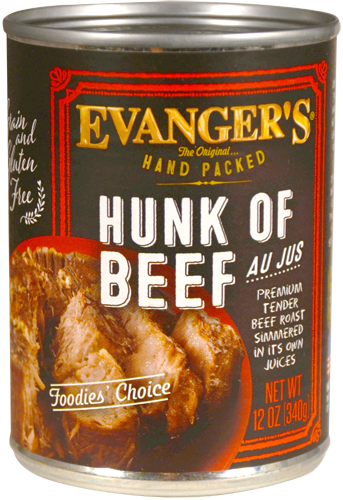 All Evanger's foods are made with completely human-grade, highly palatable and nutritious foods that will satisfy even the most finicky eater. Not only do they offer your pet a variety in taste, their gourmet dinners offer the additional nutritional benefits your pet needs. Natural Vitamins and minerals are blended with the all-natural meats for ultimate nutrition that are completely balanced meals for all life stages, ages, and breeds. And just like people pets want different taste when eating! How boring would it be to eat the same thing every single day! At Evanger's they have a HUGE selection of foods. You can see from the names alone a lot of nutrition goes into the food. Their ingredents are fresh, natural and have no by-products. Only the best of the best go into their pet food! I love my pups I want them around for as long as possible, it all starts with feeding them right! They even have Gently dried treats that are hand cut!! I love these because not only are they safe for my pups I can also feed them to my pet rat! !